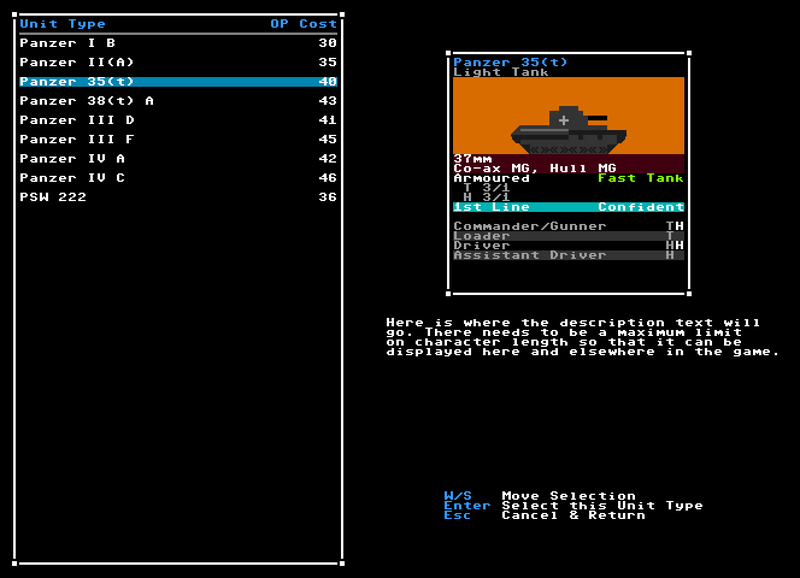 This is a mockup in REXPaint of the unit selection menu, with German units from September 1939 shown. I decided to separate the battlegroup building menu and the unit selection menu, both because it made more sense from a design standpoint, and so that this menu could be used in other contexts elsewhere in the game. This list includes all the vehicle units that will be available to German battlegroups in Sept. 1939. Operation Point (OP) costs are tentative and will be changed for balance in the future.